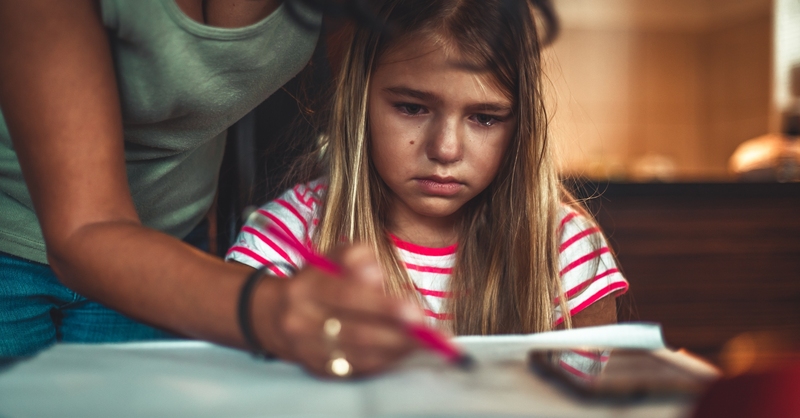 We all want our children to do well with reading and learning, but when a child struggles to read, it can be very frustrating for both the child and their parents’. And with so many avenues to take, it may be difficult to know where to start. However, the latest research from Harvard Medical School and Boston Children’s Hospital helps point us in the right direction. In their earlier research from July 2018, the Harvard Medical School and Boston Children’s Hospital team discovered that staggering 79% of children who struggled in reading also had problems in binocular/vergence, oculomotor and/or accommodation vs. the 33% in the typical readers. 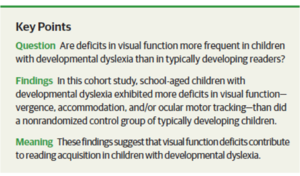 In their article, they concluded that the, “…assessment of vergence, accommodation, and eye movements may be helpful in the initial evaluation of children with dyslexia and will supplement the findings of a comprehensive ophthalmologic examination and a detailed literacy evaluation.” However, what does the latest research tell us? To put into plain English; when a child is struggling with reading, first visit your developmental optometrist for a comprehensive vision and sensorimotor evaluation. This evaluation goes beyond eye health and refraction (testing for glasses or contacts) and can determine if there is an underlying vision-related reading problem. At Wow Vision Therapy, our doctors provide a comprehensive battery of tests that evaluate the complex aspects of binocular/vergence (eye teaming), oculomotor (visual tracking), accommodation (eye focusing) and visual processing function. After our tests are complete, we review the results with the parents and provide a detailed report with recommendations for solving any visual problems including an accommodations list that can be helpful for that child’s teachers, school administrators and other professionals. The accommodations list allows educators and providers to understand better how to apply vision-based strategies and solutions to help that child improve in their reading. Although these accommodations do not remedy the developmentally delayed visual skills, they can be a beneficial adjunct to the child’s educational development. In order to treat the underlying condition, a provider will often recommend vision therapy, which is a rehabilitative program, prescribed to treat developmental and/or neurologically induced dysfunctions of the visual system. To schedule your child for a comprehensive visual assessment, contact us today.